On the last hour of the last day of San Diego Comic Con, our own Alex Peal managed to sneak in a quick interview with the new editor of the Archie action line of comics (Sonic, Mega Man) Vincent Lovallo. 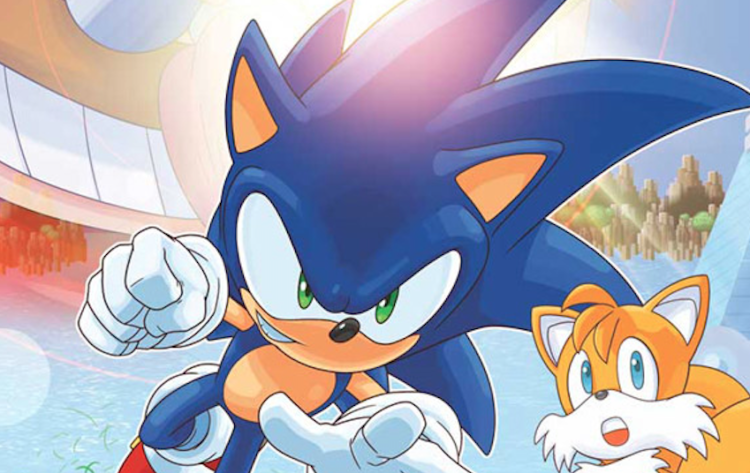 He discusses his role as an editor, Worlds Unite and what’s coming up in the future of the Sonic comic books. 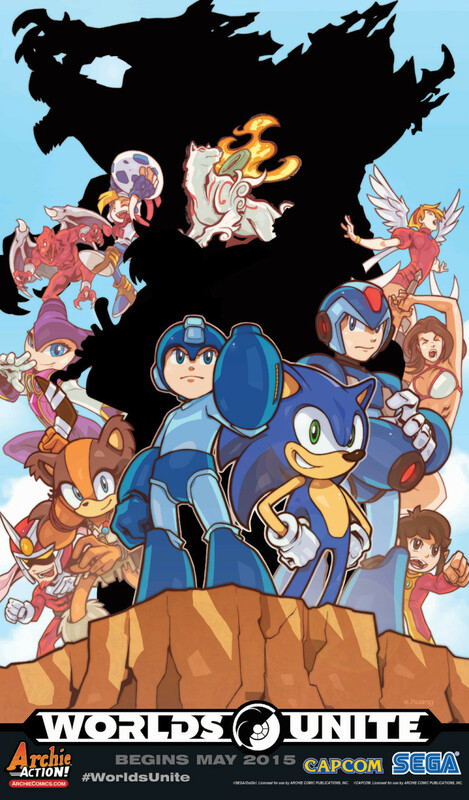 More characters have been officially revealed in the lineup for the upcoming Sonic/Mega Man (or is it now Sega/Capcom?) crossover event “Worlds Unite”. IGN has started day 2 of the reveals. 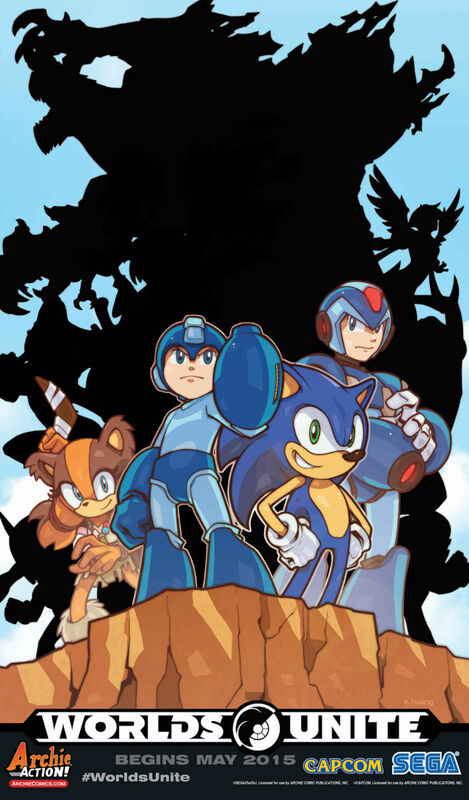 Now entering the fray will be Billy Hatcher, Alex Kidd, Viewtiful Joe and Nina from the Breath of Fire series. In fact, Ian Flynn has revealed that the full cast of Breath of Fire 3 will be involved. Ian has also stated on Twitter that should NiGHTS appear (hypothetically speaking, of course) that it would be the game universe and not a revisit to the Archie comic universe of NiGHTS last seen in 1998. The full roster of characters will be revealed day by day this week so stay tuned! 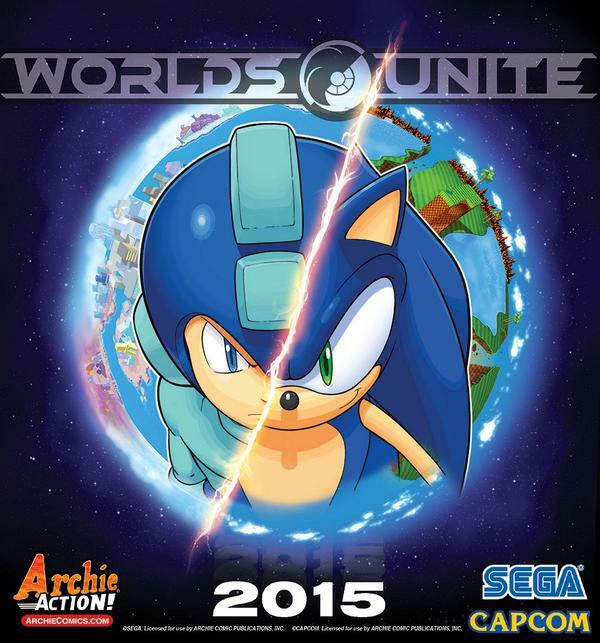 Archie Comics Sonic the Hedgehog May 2015 Solicitations – Worlds Unite begins! 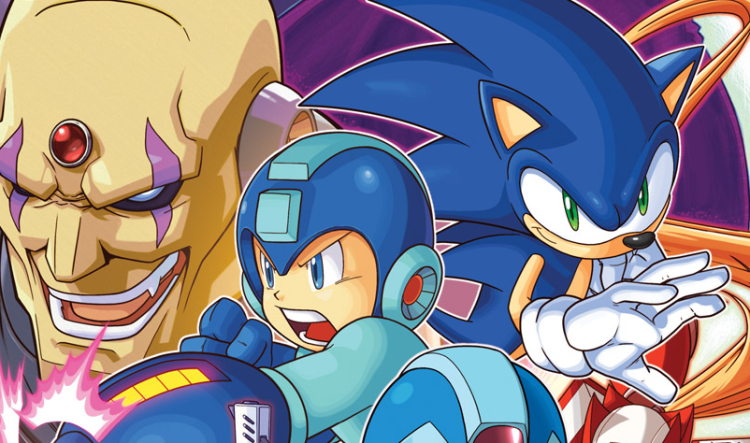 Archie Comics have sent out the latest comic solicitations, highlighting what SEGA and Sonic fans can expect from the publisher in May! 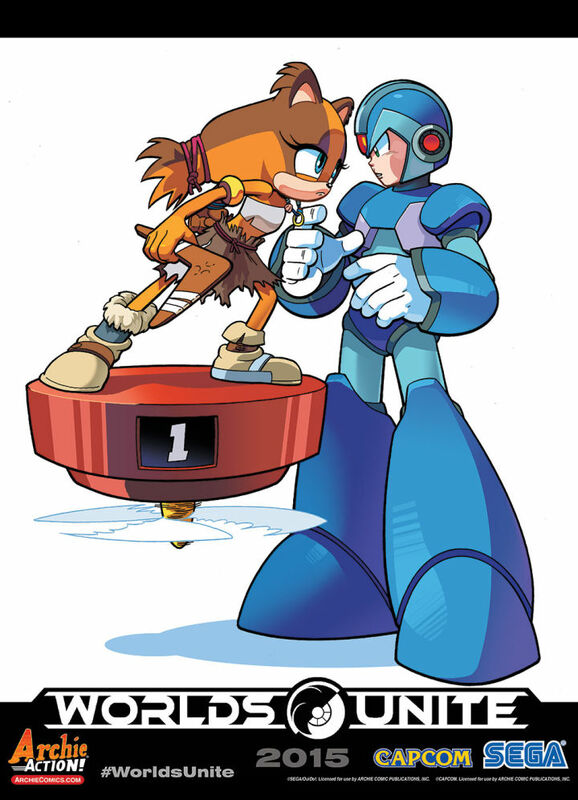 With the epic Sonic and Mega Man crossover incoming, Capcom’s Mega Man books will be a must read for those who want to follow the event, meaning throughout the crossover we’ll be highlighting the Mega Man titles that fall under the Worlds Unite umbrella. After the break, check out the covers, synopsis, and story details direct from our friends at Archie. IGN have revealed that the forthcoming crossover event “Worlds Unite” will feature characters from the Sonic Boom and Mega Man X universes, as well as the normal Sonic and Classic Mega Man universes! The mini-series will be written by Ian Flynn, with covers by Patrick “Spaz” Spaziante; no interior artist has been announced as of yet. 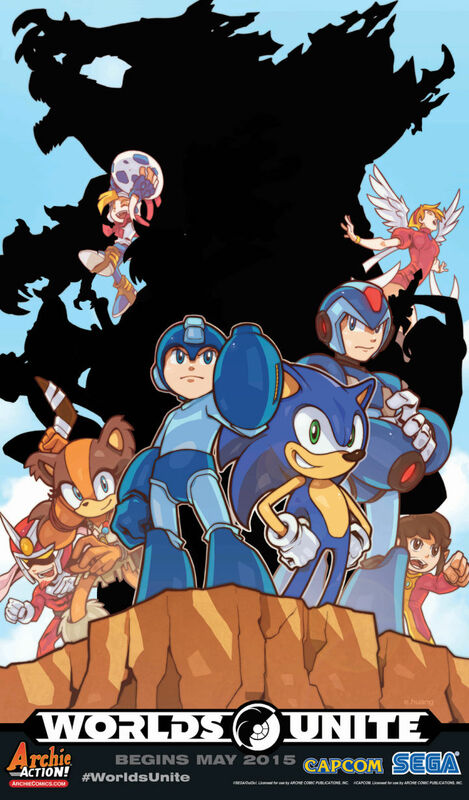 From the looks of things, the mini-series will indeed see all four universes meet; that platform Sticks is standing on in the promo is the Item-1 of the Classic Mega Man series. Worlds Unite is set to kick off in Spring 2015, and you can be sure I’ll be grabbing it as soon as possible; thank goodness for import shops! 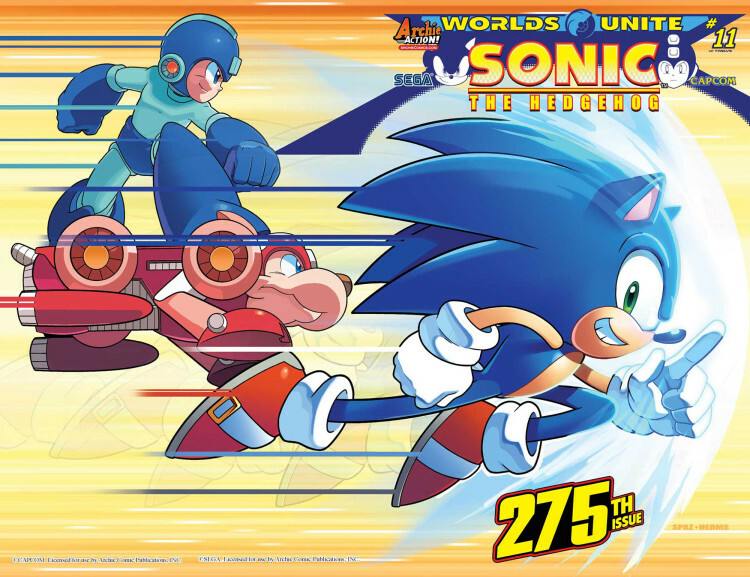 In something almost completely out of the blue, Archie comics has announced the Blue Blur and the Blue Bomber are set to join forces once again in the new crossover event Worlds Unite, starting Spring 2015. 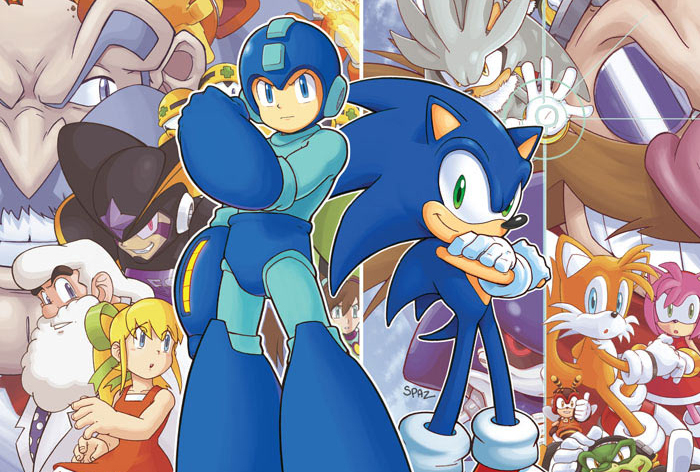 Indeed, Sonic and Mega Man are starring in another crossover comic series, set to be “even bigger” than 2013’s previous crossover. Intriguing stuff! Keep an eye on NYCC, where the Archie Action Hour: Sonic the Hedgehog and Megan Man panel is set for Thursday at 1pm, where more details are set to be announced regarding this exciting crossover event.